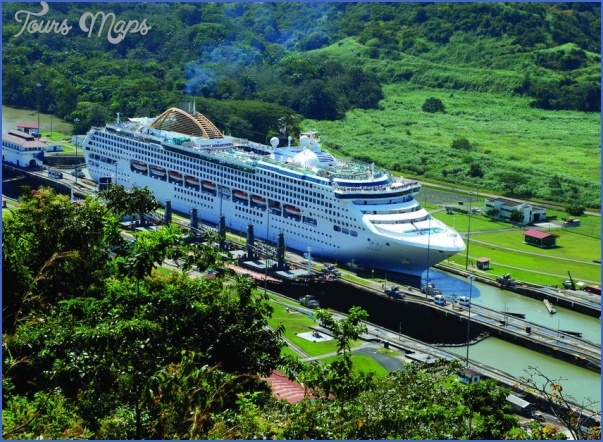 The Panama Canal is an awesome feat of engineering and human effort. Construction began in 1880 and wasn’t completed until 1914, at the expense of thousands of lives. Transiting the Canal, which links the Atlantic Ocean with the Pacific, is a thrill for anyone even vaguely interested in engineering or history. Passing through the Canal takes about 8 hours from start to finish. The 80km (50-mile) route includes passage through three main locks, plus artificial lakes. Your ship will line up in the morning, mostly with cargo ships, to await its turn through the Canal. 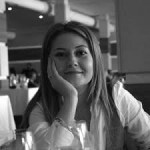 While you’re transiting, there will be a running narration of history and facts about the Canal by an expert brought on board for the day. 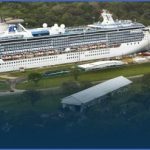 In June 2016, the Canal opened an expanded channel that allows even bigger ships to pass through, a project that should give cruise lines much greater flexibility in planning itineraries for their largest ships. Off Panama’s Caribbean coast, the San Blas Islands are a picture postcard perfect tropical archipelago and home to the Kuna Indians, whose women are well known for their colorful, hand-embroidered stitching. When your ship anchors offshore at the islands, be prepared for throngs of Kunas to emerge from the far-off distance, paddling (or, in a few cases, motoring) dugout canoes up to the ship, where they will spend the entire day calling for money or anything else ship passengers toss overboard. 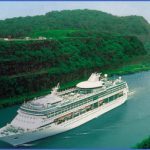 In Costa Rica, many ships call at Puerto Caldera, on the Pacific side, or Puerto Limon, on the Atlantic side. 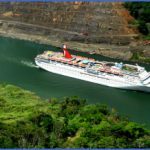 While there’s nothing to see from either cargo port, both are ideal jumping-off points for tours from ships of the country’s lush, beautiful rainforests. 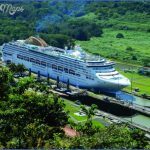 In Guatemala, most Panama Canal-bound ships call at Puerto Quetzal, on the Pacific coast; a few may call at Santo Tomas, on the Caribbean side. Both are used as gateways to Guatemala’s spectacular Mayan ruins at Tikal, the country’s most famous attraction, with more than 3,000 temples, pyramids, and other buildings of the ancient civilization some of them dating as far back as a.d. 300 nestled in a thick, surreal jungle setting. 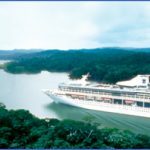 Cruises that include a Canal crossing are generally 10 to 15 nights long, with popular routes running between Florida and Acapulco; they visit a handful of Caribbean and Mexican ports and a few ports in Central America along the way. 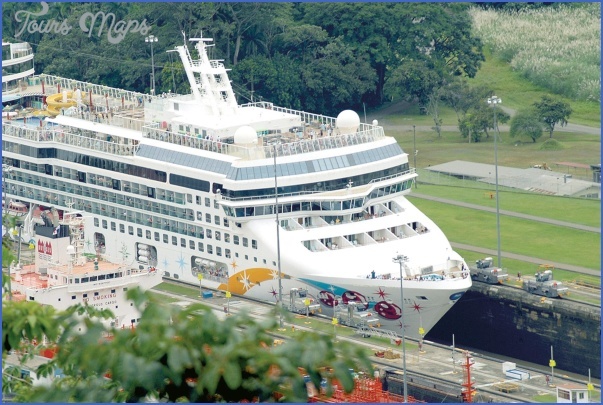 Many ships also do a partial crossing of the Canal, sailing into Gatun Lake from the Caribbean side, docking to let passengers off for excursions, and then sailing back out again. 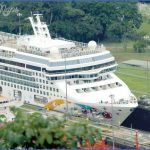 Since 1999, when Panama took over canal operations from the U.S. government, government agencies and private developers in Panama have worked to expand the Canal Zone’s tourism infrastructure. Key to this has been developing new attractions at the Canal’s Caribbean entrance in Colon. Opened in 2000, Colon’s new glass-and-marble terminal building has a large lounge, an Internet cafe, and a huge duty-free shopping mall (part of the Colon Free Zone, the second-largest tax-free zone in the world). Unfortunately, the town surrounding the splashy new development remains poverty stricken and extremely unsafe, so tourists absolutely should not wander around town. To keep tourists busy (and to divert their dollars to Panama businesses), local tour operators have developed a number of shore excursions in the area: native culture Visitors paddle dugout canoes to the rainforest village of the Embera Indiana, who perform traditional dances and sell their handmade crafts. slice of history A guided tour visits the ruins of old Panama City destroyed by pirates in 1671 and its replacement, 17th-century Colonial Panama, with its mix of French, Spanish, and Italian architecture. River was dammed during Canal construction. Though man-made, the lake is surrounded by rainforest and teems with wildlife.